Making the switch from disposable batteries to a set of rechargeable batteries and an accompanying charger can prove to be an extremely worthwhile investment, offering many benefits. Battery chargers and rechargeable batteries are available almost anywhere, and there are endless options available to the consumer.Listed below are five major benefits of using rechargeable batteries, rather than the disposable alternative. There are two main types of rechargeable batteries, with the nickel metal hydride (NiMH) variety being the most environmentally wise choice. Even with this in mind, nickel cadmium (NiCd) rechargeable batteries are still a better choice than disposable batteries. Rechargeable batteries of any type are preferable to disposables because of the amount of waste throw away brands create. Using a battery charger and rechargeable cells, can save hundreds of dead batteries from making their way into the landfills and therefore save you quite a lot of money. 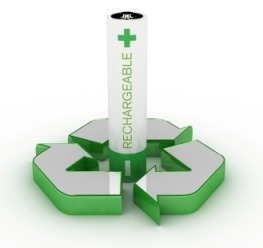 Rechargeable batteries are also far more energy efficient requiring much less energy to charge than is needed to manufacture disposables.Everybody should be doing their bit for the environment and switching to rechargeable batteries is a small step that can have a large impact. Initially, investing in a battery charger and various rechargeable batteries will be more expensive than just purchasing a pack of disposables. 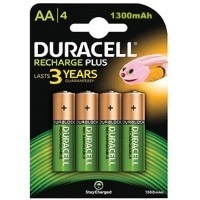 However, it’s important to look at the long term to see how using a rechargeable system can save you plenty of money. Standard rechargeable batteries have the capability to be recharged upwards of 500 times. When comparing that to the cost of a package of disposable batteries it becomes blatantly obvious that it’s much cheaper to opt for the rechargeable alternative, as they work out at only a fraction of the cost. After switching to a rechargeable battery system, you’ll notice a better performance from your electronics and battery-powered devices. There is a reason for this, disposable batteries start off by delivering 1.5 volts when new, and their power steadily decreases throughout their lifespan. Rechargeable batteries on the other hand, consistently deliver 1.2 volts of energy the entire time they are in use. This delivers an optimal performance from both the batteries and therefore also the device being used. Switching to rechargeable batteries offers convenience from many aspects. Many battery chargers can accommodate a variety of sizes of batteries all with one device. Rechargeable batteries and chargers are available in a wide variety of convenient designs, offering users durability and reliability. Chargers are also available that have the ability to recharge batteries in a number of different ways, such as USB ports, wall outlets, and even cigarette lighter adapters for your vehicle.Having rechargeable batteries on hand prevents you from having to rush out and purchase them, or go without, as they are always close by. Rechargeable batteries can be a great time saver in many scenarios. Never again will you waste time in the battery aisle trying to accommodate the needs of your devices, or miss photo opportunities at a special event or occasion because your battery has died. Help the environment by embracing a greener lifestyle? I love this blog! Thanks for sharing benefits of rechargeable batteries. Keep sharing this type of informative blog.